イラスト素材: Christmas card with bird. 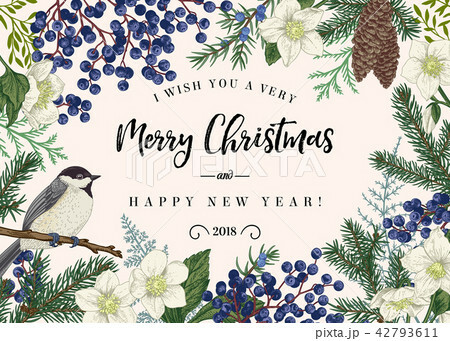 Christmas card with winter plants and a bird. Spruce, cones, juniper, flowers of hellebore, titmouse. Botanical illustration. Vector background.